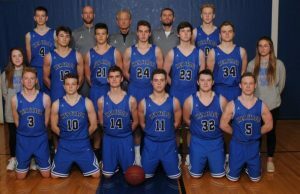 Seeded 5th, HCA Boy’s Basketball takes on 6th seeded Mounds Park Academy TONIGHT for the Section 4A Championship game at Anoka-Ramsey Community College at 7:00 pm. Come cheer on our boys as they attempt to make history as the first HCA Boy’s Basketball team to go to state and join our Girl’s Basketball team in celebrating a riveting time in our school’s athletic history! Dress is a BLACKOUT!